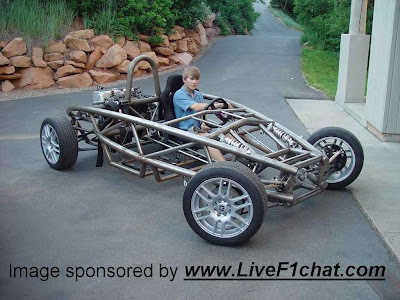 It would have been a cooler build if he went through and detailed the project part by part - I also dont believe his claim that he could could get this car street legal, but even if it's not huge kudos (lol - I'm just jealous). I live in the US and I do believe in some states there are a few basic requirements for a home built vehicle to meet i.e. working horn, lights, etc and voila! other states might be a little tougher with emissions but even then if it passes, i think your good. in my state however, hinged doors (minimal means of egress) are required if i recall.